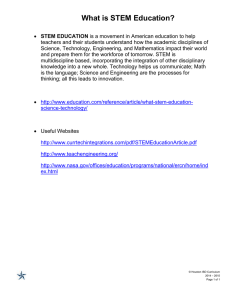 gases, waste products, and electrolytes. 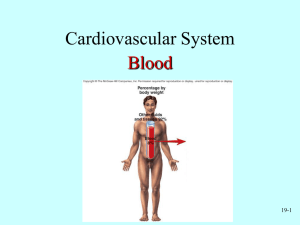 The major function of red blood cells is to transport oxygen. 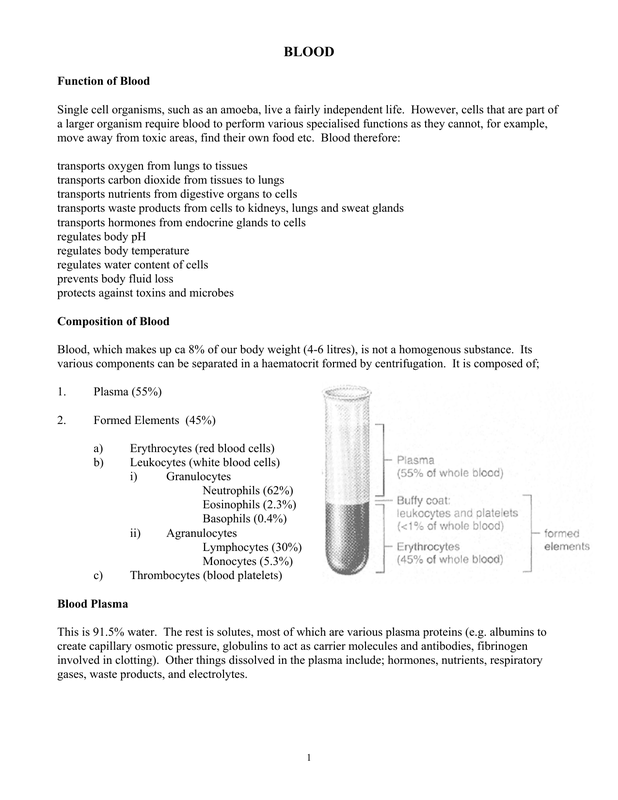 Haemopoiesis is the formation of blood cells. body (pelvis, skull, clavicles etc.). other to all other types of blood cell . 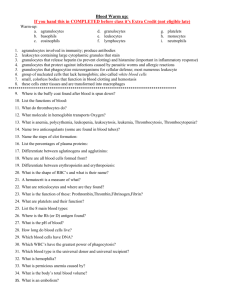 Haemopoiesis is thus a limited polyphyletic system. 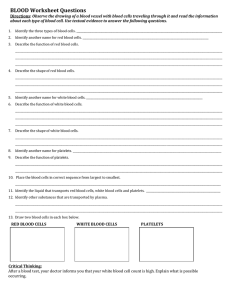 There are 5 phases to the development of every blood cell type. The formation of red blood cells (erythropoiesis) shows all these phases. 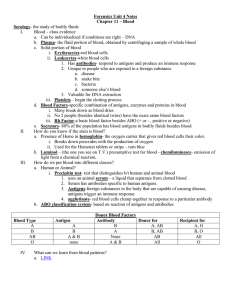 Erythrocytes survive ca. 100120 days. Thus, around 5x1011 rbcs are destroyed every day by the spleen . volume. The cell then develops its proliferative phase, forming an early (basophilic) erythroblast. released from the bone marrow. bone marrow to enhance erythropoiesis. 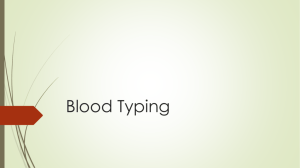 any blood group, while type O blood is the ‘universal donor’ as it posses neither antigen. 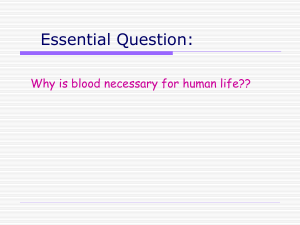 rhesus group can therefore be administered once (thereafter the antibodies are present). leukocytes are generally larger, and much less numerous (7000 mm-3 of blood). body by phagocytosis , while lymphocytes are involved in the immune response. 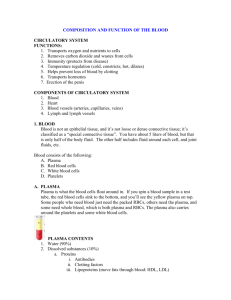 the Tissue Macrophage System. They are very powerful phagocytes. therefore important in the inflammatory response & allergic reactions. phagocytosis of the antibody-antigen complex. and disintegrates to produce around 4000 platelets. 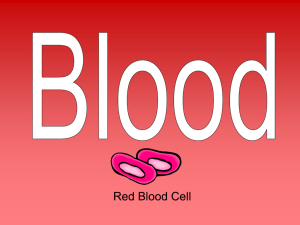 Platelets are involved in the prevention of blood loss (Haemostasis), which has 3 phases. 2. Platelet phase - platelets adhere to the damaged endothelium and aggregate to form a platelet plug. 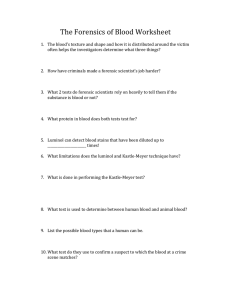 Forensics Unit 4 Notes Chapter 11 – Blood Serology I.